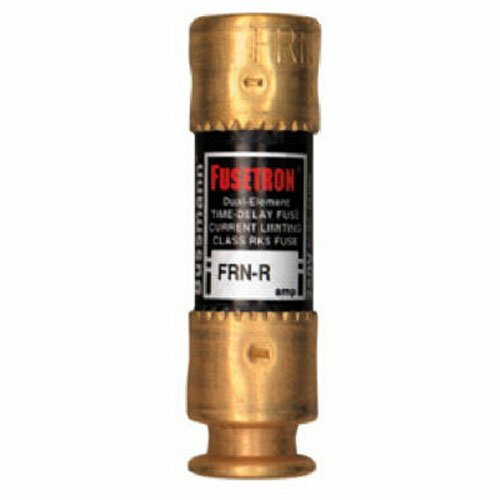 Description: advanced protection, energy efficient class Rk5 dual element, current-limiting, time-delay fuses with optional open fuse indication on select ratings.^^Features: provides motor overload, ground fault and short-circuit protection helps protect Motors against burnout from overloads helps protect Motors against burnout from single-phasing on three-phase systems simplifies and improves blackout prevention (selective coordination) dual-element fuses can be applied in circuits subject to temporary motor overloads and surge currents to provide both high performance short-circuit and overload protection the overload element provides protection against low level overcurrent of overloads and will hold an overload which is five times greater than the ampere rating of the fuse for a minimum of ten seconds.^^Time-delay – 10 seconds (minimum) at 500% of rated current (8 seconds for 110-30a sizes).^^agency information: ce, UL listed, std. 248-12, class rk-5, guide jddz, file E4273 CSA certified, C22.2 no. 248.12, class 1422-02, file 53787.